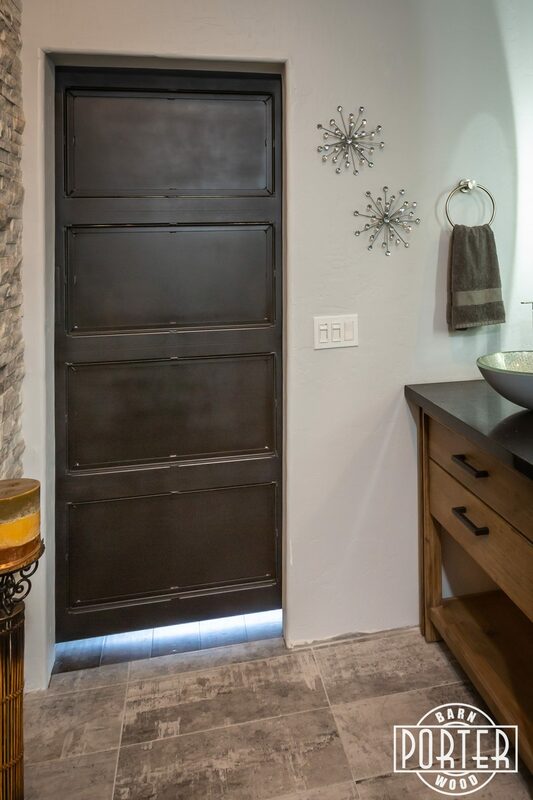 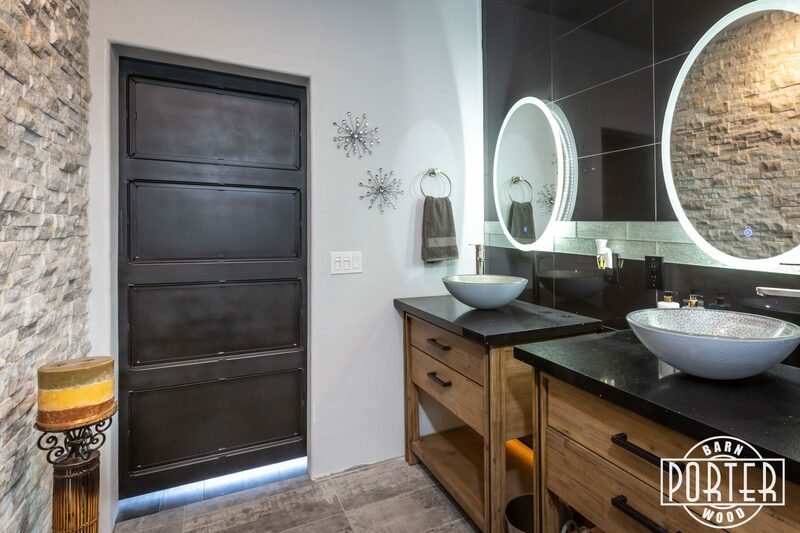 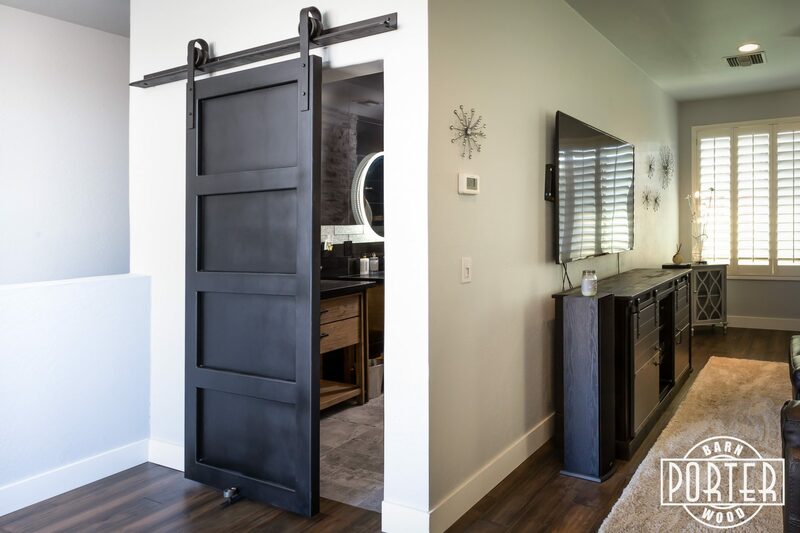 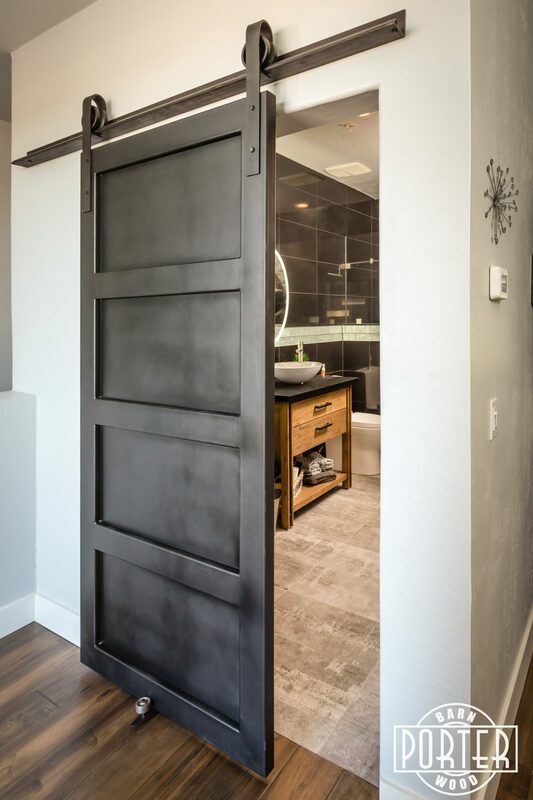 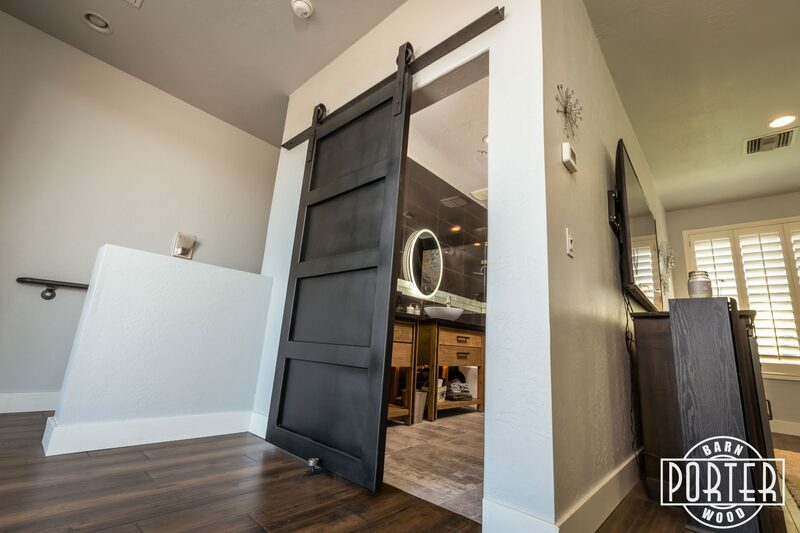 Modern Steel Sliding Door for this industrial elegant bathroom entry, atop a Central Phoenix loft overlooking the city skyline. 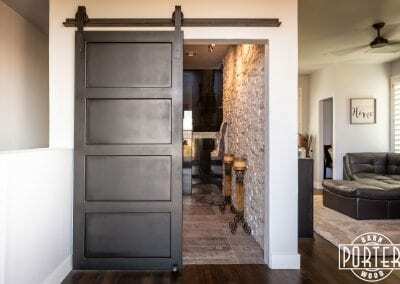 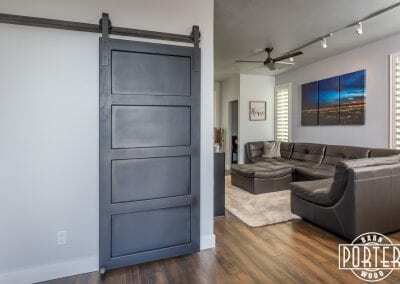 This custom made, modern steel sliding door, in our metal shop Porter Iron Works was designed for the customer. 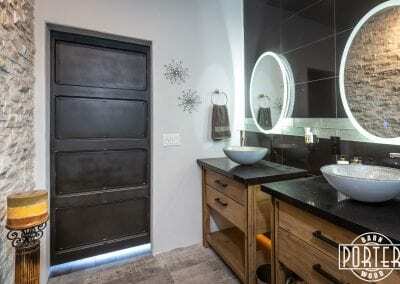 It is a small additional bathroom on the top floor of this loft. 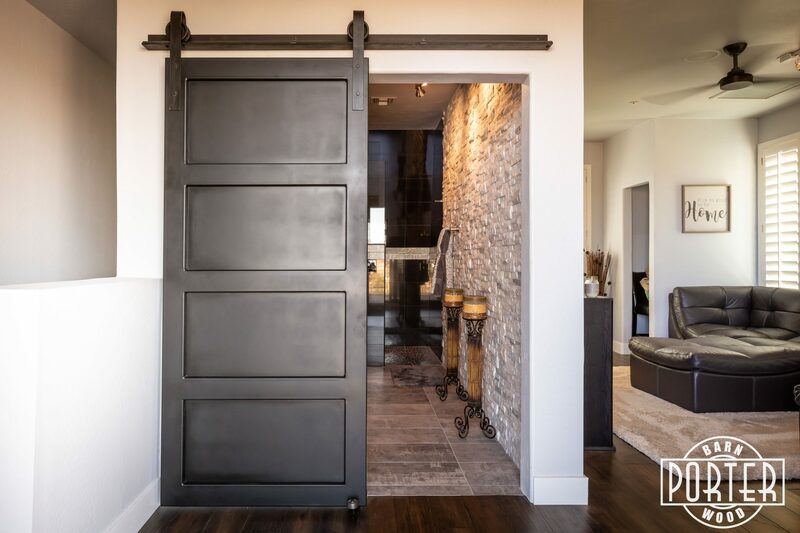 This modern design is both industrial and elegant, bringing out the best of all complimentary elements. This clean lined modern design ties the two rooms together nicely. 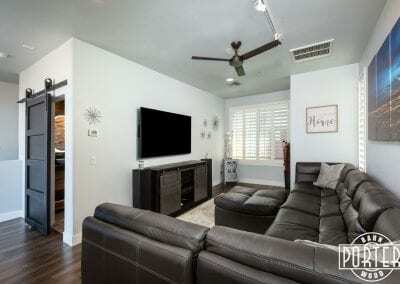 Take a look at the pictures to see this space. 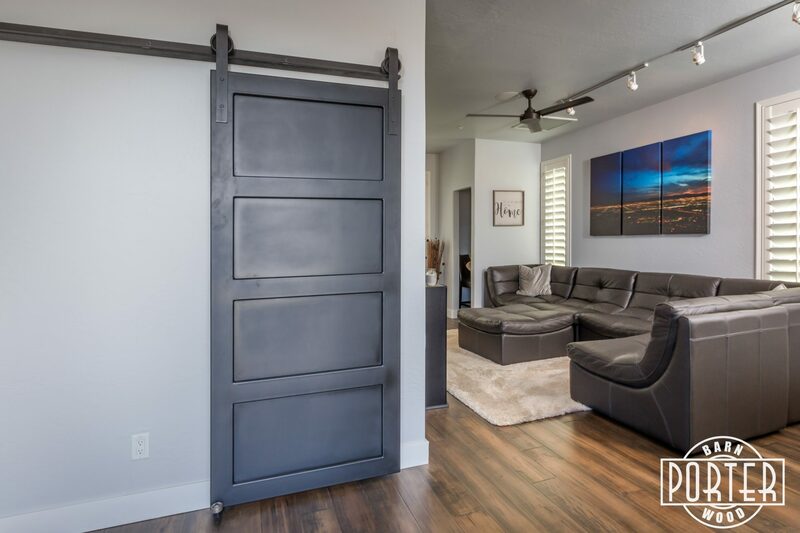 If you would like us to build you some unique that you have been dreaming about you can contact us. 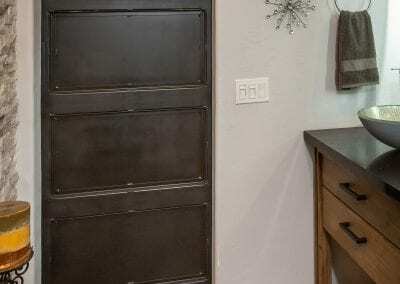 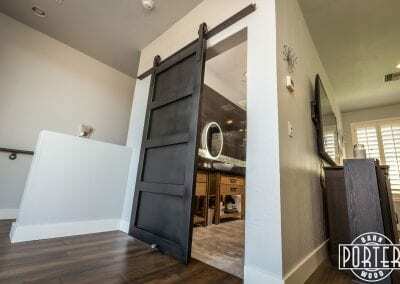 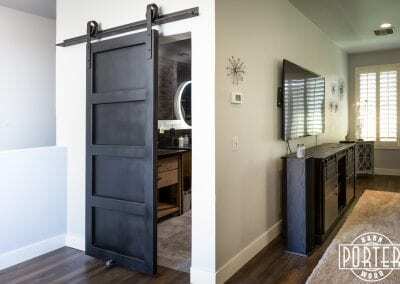 If you need some more inspiration check out our other door projects.